This study investigates both the safety and efficacy of the immunotherapy drug MEDI4736 (durvalumab) both alone and in combination with targeted therapy in patients with advanced or metastatic RCC. This phase is a randomised, multi-centre study recruiting across the UK and Spain. 195 patients with metastatic renal cell carcinoma will be enrolled. Patients with papillary cell cancer are automatically entered into a treatment arm (MEDI4736 + Savolitinib) while those with clear cell RCC are randomised to one of four treatment arms (a: tremelimumab + savolitinib, b: MEDI4736 alone, c: MEDI4736 + Savolitinib, d: Savolitinib alone). Patients with papillary cell cancer are often excluded from clinical trials. As such there is no prospective, randomised data on optimal treatment for this subgroup except that based on subgroup analysis within studies. MEDI14736, a monoclonal antibody which inhibits the PD-L1 checkpoint signal, has been shown to have some effectiveness in solid tumours inducing response rates of up to 20% in PD-L1 unselected patients. The response rate seems to be more marked in those with PD-L1 positive staining. Savolitinib, a selective c-Met kinase inhibitor, is currently under investigation in various studies and has shown some encouraging response rates in individuals with papillary type tumours in study D5081C00001. 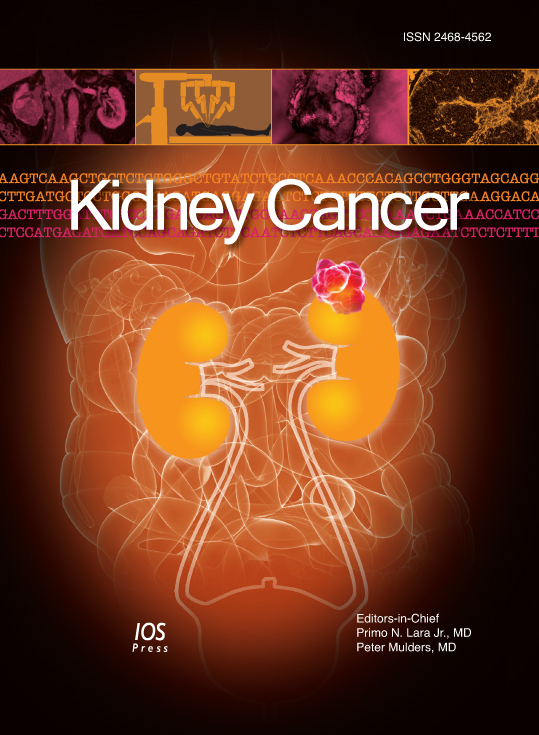 The potential of combining immune and targeted therapy is being increasingly explored in the domain of renal cell cancer and may lead to longer, durable responses, far superior to those currently seen. The primary endpoints are overall response in patients with metastatic papillary cell cancer as measured by RECIST 1.1 criteria as well as a biomarker enriched analysis in all (papillary and clear cell RCC) patients. The secondary endpoints included are OS and PFS as determined by time from onset of treatment to radiological progression by RECIST 1.1. No results are currently available. Metastatic papillary cell cancer is associated with a poor prognosis due to a naturally more aggressive disease history. This trial provides these patients with an opportunity to receive a combination of immune and targeted therapy. This is an exciting opportunity in a somewhat neglected patient cohort at risk of rapid disease progression.